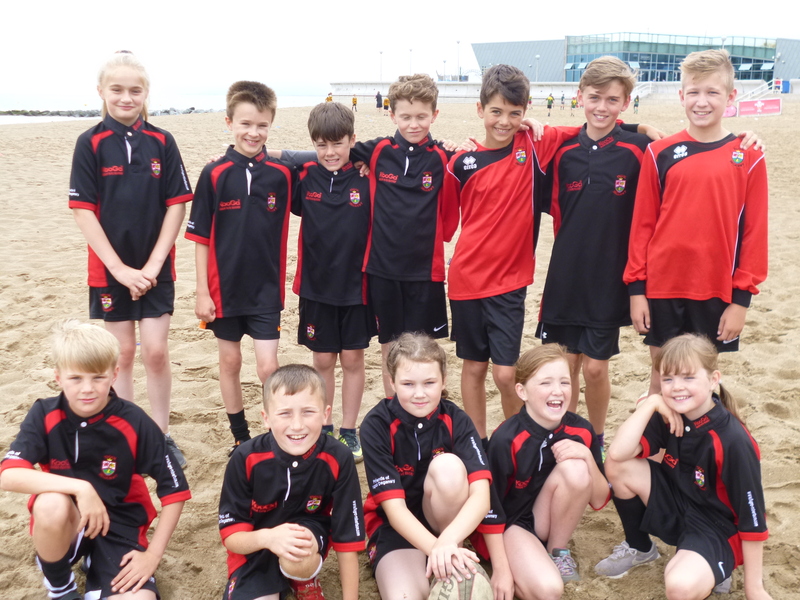 Ysgol Deganwy Urdd Rugby team had a great day out playing touch rugby on the beach at Porth Erias recently. The team were in a group with 4 other schools and had a very busy time running around in the soft sand, everyone was exhausted by the end of the tournament. Well done to everyone who took part, a fun time was had playing in the tournament and even more fun was had on the playground whilst waiting for the bus. Lots more photos on our Flickr page.